The beauty of festivals in India is the magnanimous preparation that goes along with it. This festival of ‘Ganesh chaturthi’ is celebrated with such a grandeur in Hyderabad, the city where I grew up, that it is at par with Durga puja of eastern India. The pomp and the fervor of Lord’s arrival is palpable days before the actual festival. The markets are adorned with His colorful idols, flowers, decorations. The grocery stores make a brisk business , with everyone wanting to please Him with their home made goodies. 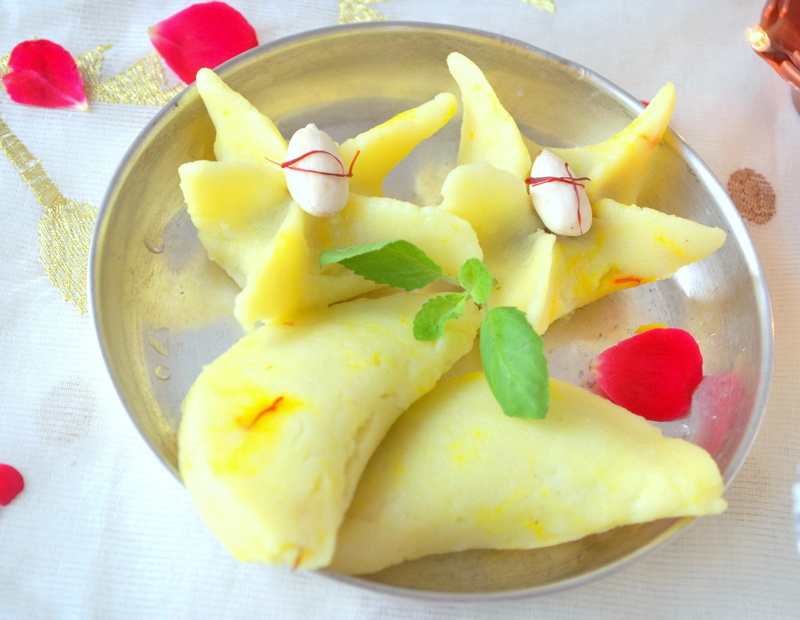 Lord Ganesh is known to be the biggest foodie among all the Hindu deities. 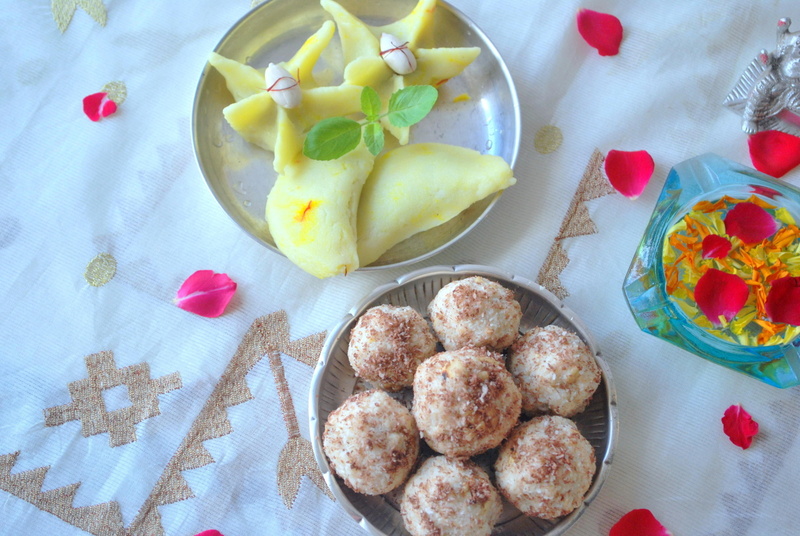 Indian women much known for their love for cooking and feeding, go all out to make the choicest of sweet spread for the Lord on his birthday. In our house, the scenario was no different. Mother busy in the kitchen with her preperations and we sisters would decorate the place which our ‘friend’ for ten days would occupy. It wasn’t just an idol of plaster of paris for us, for ten days He would be a family member , whose farewell always ended on an emotional note. With childhood, goes the innocence, but the emotions attached to this festival hasn’t changed. It’s still painful to let him go. I’am not much of a ritual-sticking person inspite of growing up in an orthodox traditional family, mostly because of the years I was away from home. Now, festivals for me are more kids’ oriented, with their wishes forming the traditions of the house. 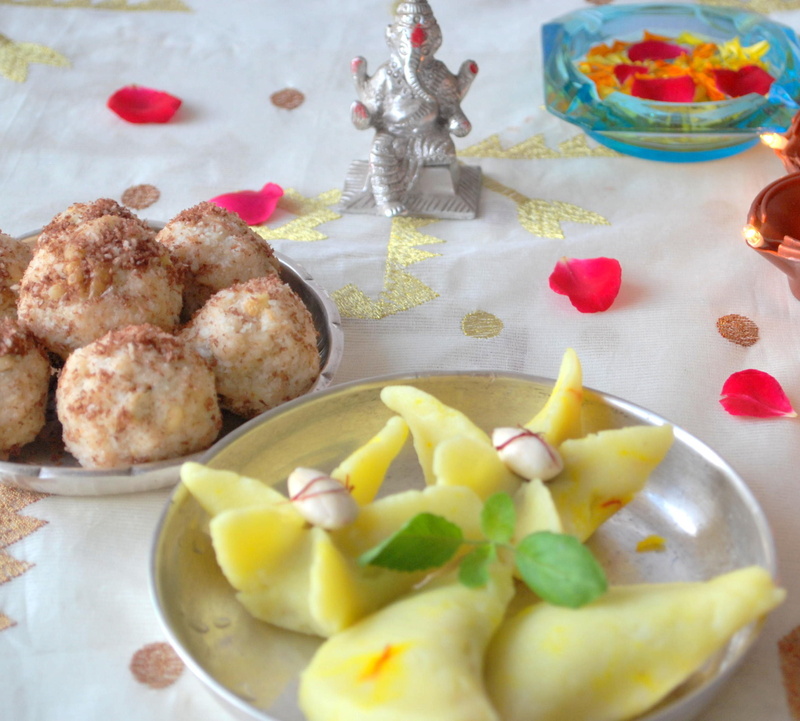 Modak (sweet dumplings made of flour) and Laddus (sweet balls) are known to be Ganesha’s favourite sweets. My elder son who is named after one of the many synonyms of Lord Ganesha, is a big shareholder of those treats prepared for this day. heat ghee in a pan, add grated coconut. finely powder jaggery, and mix it with the coconut. add cardamom powder to the above mixture. mix all the ingredients well, saute till all the water evaporates and the mixture comes together . mix chopped almonds,keep the filling aside to cool. boil two cups of water with one teaspoon oil and a pinch of salt. once the water boils, add few strands of saffron. slowly add rice flour, keep stirring till whole of the flour is incorporated well without any lumps.take the mixture off the flame and cover it for some time. once mixture cools down a bit, knead the dough well till its soft. grease your hands with oil,take a fistful of dough, make it into a round ball, flatten it ( you can also use a rolling pin), fill in the mixture and give the shape you want. here I have given two shapes- a star shaped ( supposed to resemble modak :-)) and a semi circle one ( known as kuchida kadubu in kannada). steam them in an idli steamer for five minutes. once cooked serve it warm, with a spoonful of ghee. • Dry roast 2 cups dessicated coconut till its light brown and dry fruits separately. 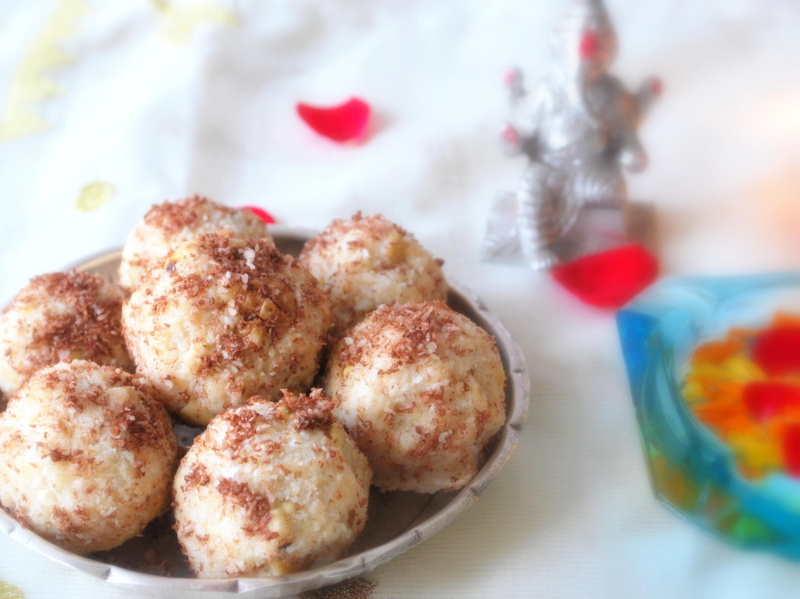 • Make small balls and coat it with coconut and cocoa powder mixture. 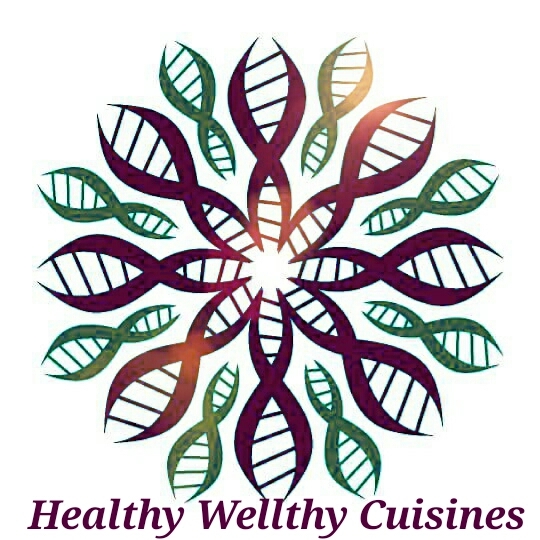 * a double boiler can be made by simply heating water in a larger vessel and placing the chopped chocolate in another smaller vessel which can be securely placed in the larger vessel, without any water entering into it. the chocolate melts by the indirect heat it gets from the boiling water. Thats for my chocolate loving Ganesha! May the ‘Vignaharta’ give you strength to fight all the difficulties coming in your life. Neeli, I am sure Ganapathi is impressed by your offerings! why won’t he…after putting your heart into making them ;). you also filled the air with nostalgia of our childhood. nice to see you associating every dish you make, with our childhood. May Ganapathi shower his blessings on you and your family. 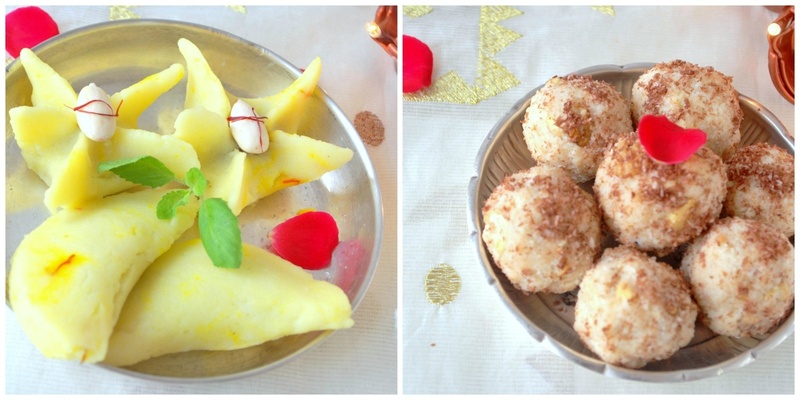 Aah so many emotions attached to these recipes…saffron has given a new look to the modak.will surely make them for Ganapathi. Thanks for the recipe n let me tell u I was actually waiting for recipe from u.knew tht it wud b sumthng very healthy n different from regular sweet. thanks rashmi, saffron was my addition;-), just thought of changing the plain white look.good to know you liked it.